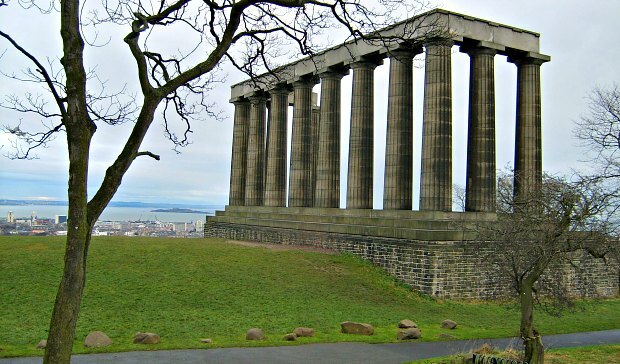 Calton Hill is an attractive landscaped park overlooking Edinburgh. It was built by the city elders to provide a cultural area for walking for the residents of the growing city below. The views of Edinburgh here are superb, especially on a sunny day, but there are also a number of features and monuments to make the park more interesting too. Most visible is the unfinished “National Monument”, based on the Parthenon in Athens. Some of the other buildings and monuments on Calton Hill are an observatory within its own walled area including Observatory House, the Nelson monument which you can climb to the top of and the Dugald Stewart Monument (pictured above). There is a common theme with both Nelson’s monument and the National Monument – the money to construct them ran out. The National Monument was never finished, but when the funds dried up for Nelson’s Monument in 1808, the structure was almost complete anyway. The tower is supposed to represent a telescope. 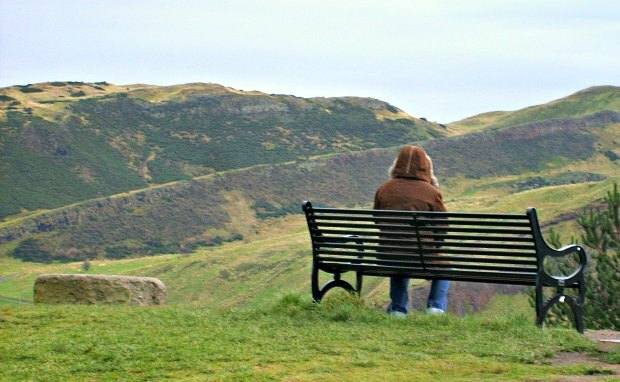 One of the most impressive things about Calton Hill is simply the view you get of Edinburgh. Take a seat on the bench by the Observatory House and get a terrific view of Edinburgh Castle and Princes Street Gardens, walk to the northern side and see the Firth of Forth and Ocean Terminal (where the Royal Yacht Britannia is moored) and from the southern side get a brilliant view of Holyrood House, Holyrood Abbey and the Scottish Parliament. 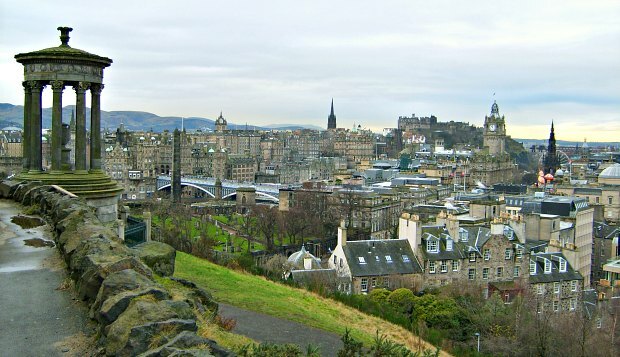 Access to Calton Hill is a short walk from the end of Princes Street where it becomes Waterloo Place and then Regent Road.